I get to harvest my very first tomatoes and zuccini that I grew myself in the garden, either today or tomorrow. That’s exciting. Nothing like fresh produce! And that means I need to visit the farmer’s market really soon. Can’t wait! We have a weigh in day tomorrow. (Yay.) I also have a jam packed day with a rigid schedule, so that will be fun and interesting. At least the weigh in and remeasure day falls before the holiday. Clarksville TN, which is the nearest “big” town, is having it’s fireworks show on the 3rd rather than the forth, we’re hoping to take the kids to see that. 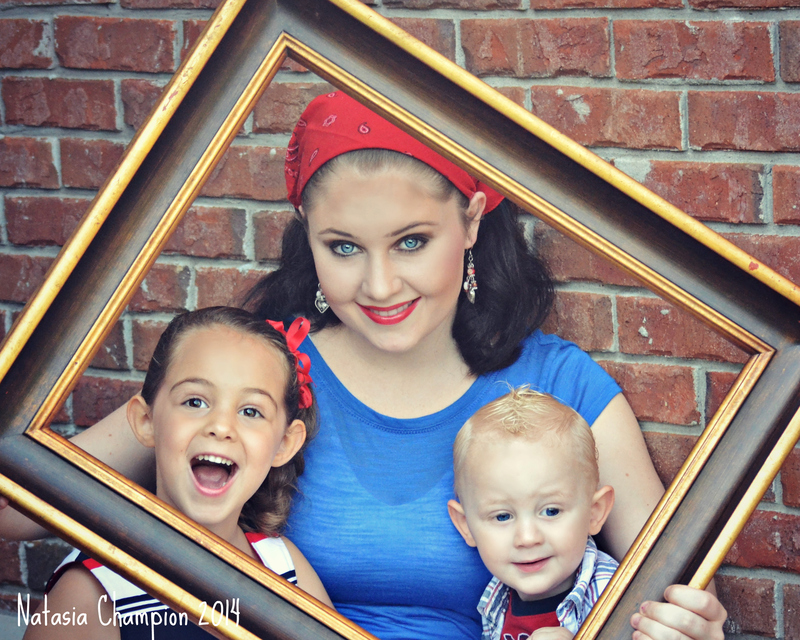 Knowing that day would be crazy busy, I did the 4th of July photos a few days early. (Yesterday.) 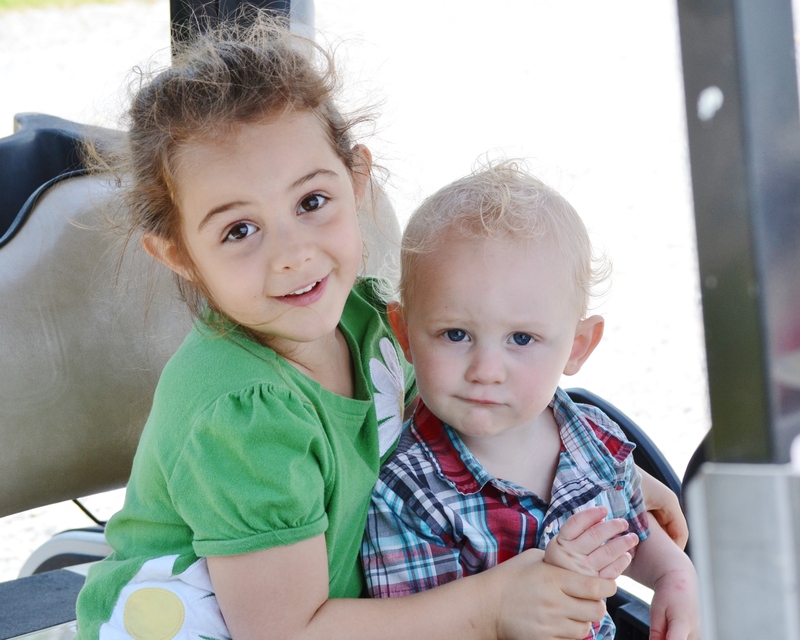 Here’s my adorable crew. Happy 4th of July a little early! Saturday morning, the weekend is here. Tomorrow is a rest day and man, I need it! My lower back is crying from all the hip targeting exercises in the HIIT routine this week, and we have mostly skipped the strength days to do the HIITs instead as they are a bit longer and don’t require weights. I ended up drinking my water out of my water jugs and am not comfortable exercising with unsealed pop off caps, especially with my little crazies trying to take my weights, my luck will run out one day and water will end up all over my carpet. I still haven’t found an adequate alternative and just need to pick up some actual dumbbells. I saw this little meme on Facebook this morning, and I rarely pay attention to these because most of them are so ridiculous, and even more rarely do I share them, but this one really caught my attention because it was so simple, yet so profound. And then I started thinking about it. Throwing a baseball, swinging a golf club, the squat before the long jump, they all have a backward or negative motion BEFORE the positive action. There are a lot of things in life that must move backward before they can move forward, and some of them are the most powerful forces on the planet. Take a tsunami, for instance. The ocean draws backward before it rushes over the land. We get so discouraged with negative motion, the scale not moving, the tape measure reading larger, a pulled muscle or sore knee, and a lot of times we quit. But maybe that is the very moment before we see huge results and positive motion. In the examples above, for every unit of negative motion, the positive reaction is much greater. The ball flies much farther than the bat drew back, the jump is much higher than the downward squat, the ocean engulfs more land than it’s normal boundary. Your one task, the single most important thing that you will do for yourself after actually starting is to just keep going. Don’t let discouragement get to you, don’t stop because of backward motion. You are on the verge of flying farther than you dreamed possible. I truly believe this. You should believe it too. Keep going. Keep pushing. Keep believing. It’s happening, even as you are being pulled in the opposite direction, the process is working, stay focused and aim for your goals so that you will hit them when you fly forward. All that energy is going to be released, it would be tragic if you were focused on a place you don’t really want to be. If you turn completely around and focus on all the things you are not or the progress that isn’t happening, that arrow can just as easily fly into the gutter. Maybe there is someone out there that really needs to hear some encouragement this morning. This is for you. 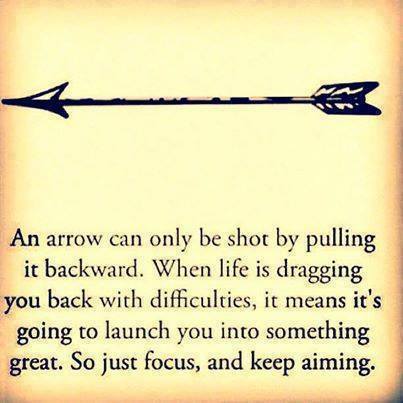 Just keep aiming for your goals. Keep focusing your energy, you are going to fly very soon. We are flying through this challenge, people! The days are going by so fast. I am staying very busy because I have more energy and motivation than I have in a long time, I love it! We are fast approaching another weigh in and remeasure day and I am DETERMINED to see some change on the scale for the better. I don’t care if it’s a few ounces, I am ready to see that needle drop a little. I see definite changes in my body, it is more muscular and my love handles and tummy are finally getting tighter, and the most change has been to my skin itself, it is very smooth, especially on my legs where the cellulite likes to gather, but on my tummy and arms and over my ribs, the skin just appears very toned and smooth. I’m sure the great hydration is playing a huge part in my skin’s appearance, especially the plump, youthful quality to the skin surface on my face. All these little things add up to progress, don’t make the mistake of assuming the scale is the only place you can benefit from this routine. So, how about another recipe? Everyone likes fresh ideas for meals, right? 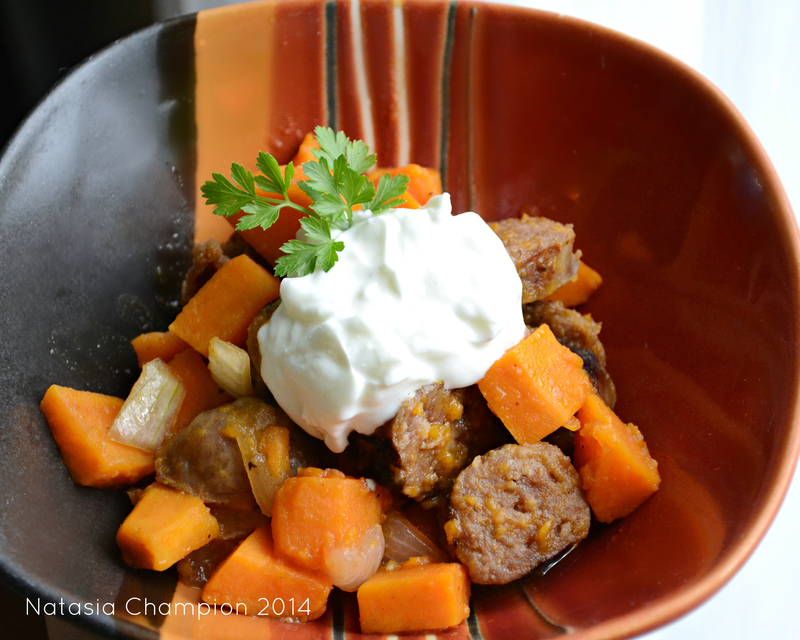 And this one is a crockpot meal that is very easy to throw together on a busy day. Place the sausages on the bottom of the crock pot, then add the onions and sweet potatoes on top, followed by the salt and spices. Pour the chicken broth evenly over the top, turn the cooker on high, and cover. Let cook until the sweet potatoes are tender. (Approx. 1 hour and 15 minutes, depending on each individual cooker.) Fish the sausages out and brown them evenly in a skillet with a little olive oil. Let them rest for five minutes and then slice them into 1/4 inch thick slices and return them to the crock pot. Stir everything together gently, taste for adequate seasoning, and serve with a dollop of plain greek yogurt if you like. NOTES: The family loved this. It was very easy to throw together and let it cook while I was busy with house chores, and it was filling. I can buy a 3lb. bag of sweet potatoes at Aldi for $1.99 in my area, so I like to keep them handy and this was a refreshing way to prepare something we eat a lot of. I hope you guys enjoy this one, let me know what you think! And I’d love to hear your easy and creative crock pot meals if you have any. We just got done with our morning run. I had to knead my lower back and oblique muscles for 15 minutes prior to that just to get the stiffness remotely mobile. We did the HIIT work out instead of the strength work out last night and that 1:30 on :30 off format is killer. I have not woken up this sore and stiff the whole challenge, but I am super loving the intensity because in only one week I have seen major progress in my abs and hips, those are my problem areas, and I’m LOVING what’s happening there! Remember the first picture from a week ago? The second picture was taken last night and we are both excited about the changes happening in only one week. My awesome mom in law knows what just-because-gifts will make us jump for joy, she found these terrific insulated mugs in a lovely 32 oz. 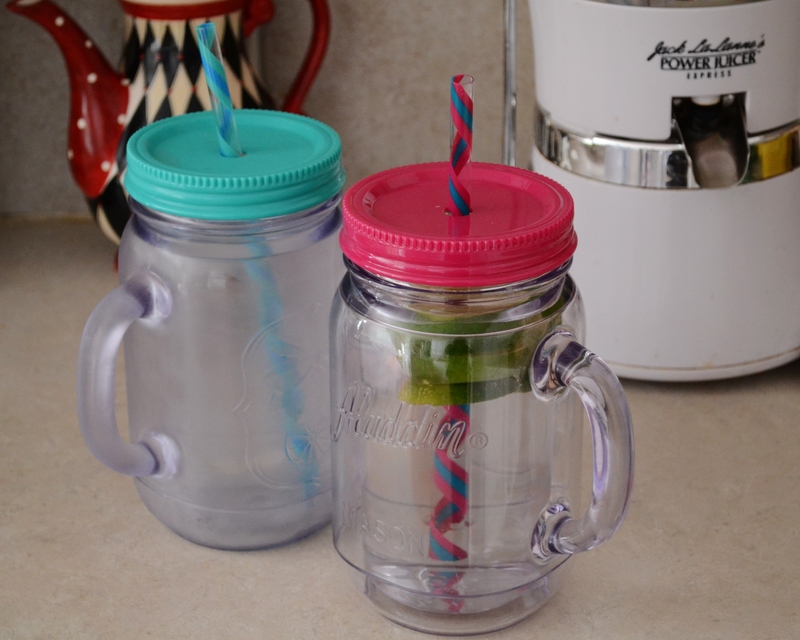 size complete with straw and happy colors, and we LOVE them. Our other cups were kind of small and we would have to stop and fill them mid workout. 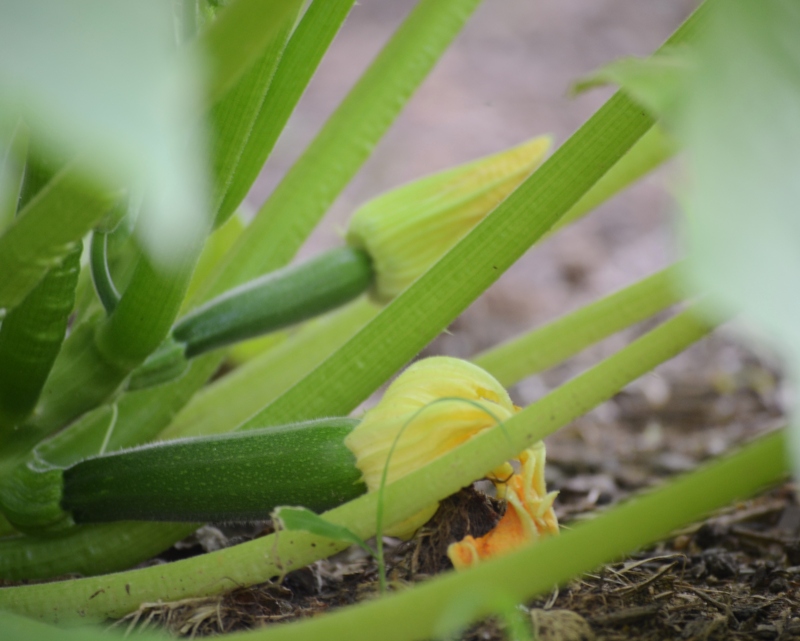 My little garden is still growing, my flowers are blooming and tiny cucumbers and zuccini are making their appearance, so we’ll soon be enjoying those. And most exciting, my first tomatoes are starting to turn red. The first home grown tomato is the most anticipated event in our house! Stay hydrated and healthy, friends! It has been crazy around here. My schedule (such as it is) has gotten a little off track. I had been getting the kids into bed by 8:30, which put me asleep by 10ish, but the last few nights it’s been 12 and 1 AM before I drift off. That sets my morning up for tired mode which stretches out my coffee time, which sets the whole day back as any slight deviation from one thing leads to epic disruption of several hours by the time the day is through. I’ve GOT to get into bed at a decent time tonight. Sheesh! We had been getting our workout done first thing in the morning and running in the evenings, but since my hubby’s schedule changed and he is here in the morning and gone in the evenings, we switched it up so he could keep an eye on the kids while we run. (And by keep an eye on them I really mean snore away while they are still sleeping.) These last couple mornings I just haven’t gotten the run in, so I guess it’s a good thing this weeks format switch is murdering me. 1:30 of mountain climbers is beyond brutal, I actually woke up sore this morning from last night’s work out. Mix all ingredients together. Add salt and pepper to taste. 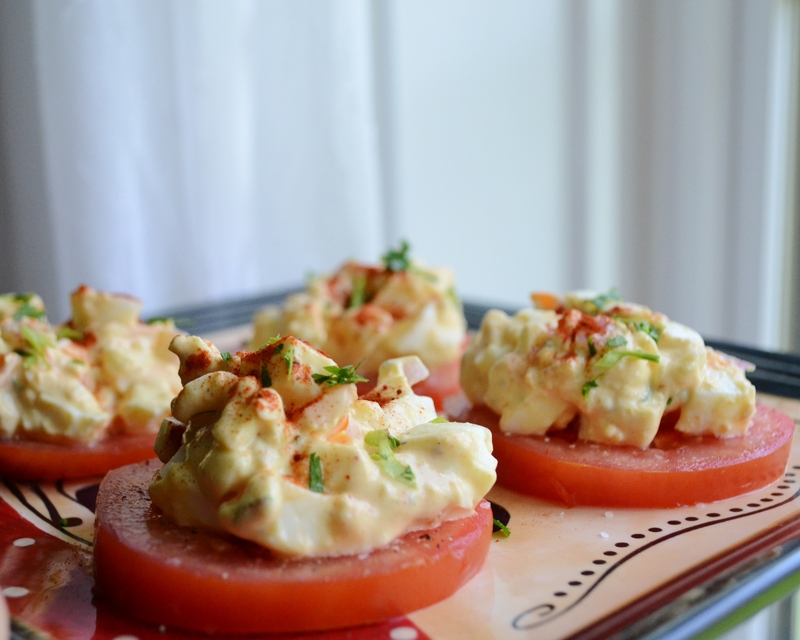 Arrange tomato slices on a plate, salt and pepper them before spooning egg salad on top. Sprinkle a little paprika and fresh parsley on top as garnish. NOTES: Ideally I would have used home grown or locally grown vine ripened tomatoes, but “vine ripened” from the super market had to do today. I definitely recommend the ripest tomato you can get hold of for this. I stay away from the big beef steak, slicer type tomatoes you buy at the grocery store as the flavor is never there. They pick them far too green for the flavor to ever be there. 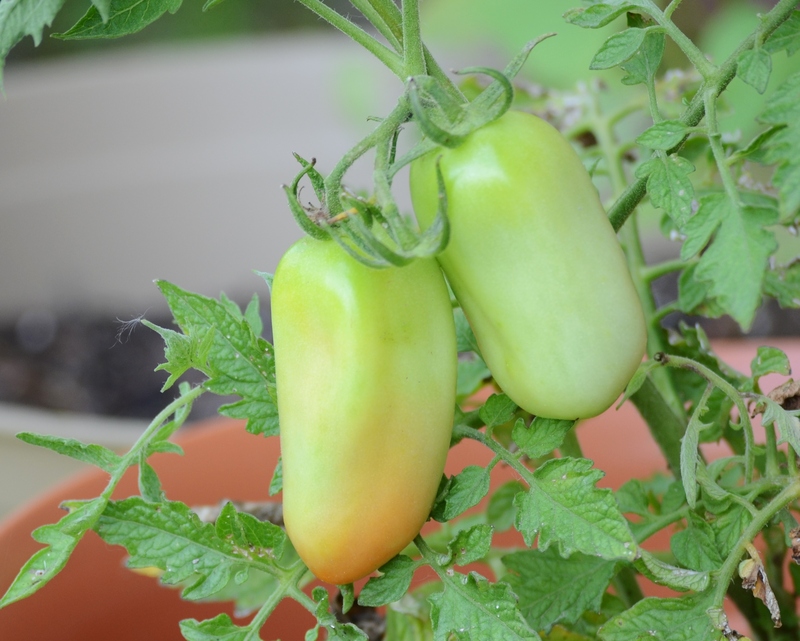 A medium sized vine ripened tomato or plum style tomato will be your best bet if you can’t get your hands on something from the farmer’s market or grow them yourself. My kiddos love this recipe and I love that it’s low carb. It makes a great light lunch, perfect for the summer, and is super quick to whip up, especially since I usually keep a bunch of eggs boiled and ready to peel in the fridge anyway, they make for a great snack. I have noticed several ladies on the BBM facebook page who have determined that the meal plan isn’t for them, whether because of pickiness or grocery cost, or whatever. I’m one of those ladies. I need to have an extremely flexible “plan” with clean eating to allow for my very small budget. Certain things I need to repeat a lot depending on my weekly deal finds at the grocery store or the things I’ve stocked up on that I have in my cabinet. That’s why I go to Pinterest to get inspiration and then roll with it from there. That doesn’t mean the BBM meal plan doesn’t have it’s merit or that you can’t eat clean unless you follow it or have a larger budget. And even if eating completely clean isn’t in the cards, there are adjustments you can make like the small, frequent meals, that will help you with the nutrition side of it. Any little bit helps, right? Here are some of my tips and tricks for keeping things at my house small, frequent meal friendly, especially when I’m on the go or running behind schedule. I try to keep 8-10 eggs boiled and in the fridge, ready to peel and go. I like to make a batch of granola or trail mix and keep it to snack on. The kids love this too. If I have salad produce in the fridge I like to keep a big salad made in a covered bowl in the fridge. It’s easy to grab a small bowl when you are busy or running behind as long as it is already put together. Mozzarella sticks make a quick and easy snack and are travel friendly. Fresh fruit like melons or citrus are easier to grab and go if they are already peeled or cut up in a larger batch, and again, you are more likely to eat on them when you are pinched for time. My bananas that ripen too quickly I peel, cut into chunks and put in zip bags in the freezer. They are the base for smoothies, no ice required and add plenty of sweet to even sour berries if you let them ripen very well before freezing. Smoothies make a very quick and filling meal when you are pressed for time and in addition to bananas I buy bags of frozen fruit at Aldi, sliced peaches, berry medley, raspberries, blueberries, etc. I blend frozen bananas and berries with orange juice or milk (coconut or almond milk works beautifully) and make a very simple, very tasty breakfast or dessert. Another favorite is bananas, sliced peaches, frozen spinach, and orange juice. It is a bright green but tastes completely like the fruit. Try it, you’ll be amazed how delicious it is. Dried cranberries, dried apricots, apple or banana chips, these all make great snacks or add ins to oatmeal or just when you are craving something sweet and don’t need to grab that cookie you are dreaming of. I started baking muffins this week. They make a great grab and go breakfast or snack and you can make them healthier than a mix by using whole wheat flour or oat flour, coconut oil, cut back on the sugar and add dried fruits or use apple sauce instead of oil. 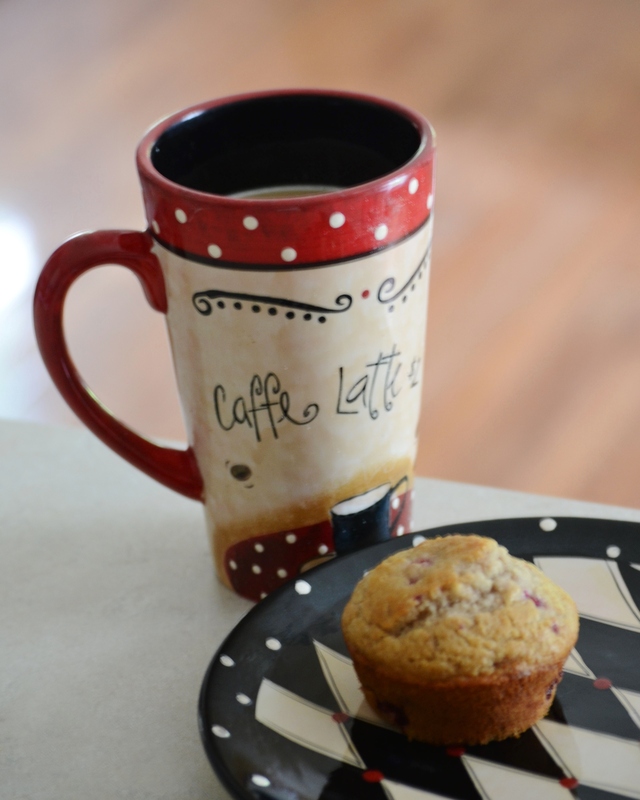 Muffins are pretty easy and quick and I have found them a little more forgiving for the person who doesn’t bake as long as you remember the golden rule of muffin making, don’t over mix. Remember the frozen berries from the smoothies? You can throw those raspberries and blueberries right into your muffin batter. I did some raspberry almond muffins last night, they were delicious. I like to mix up a larger batch of chicken or egg salad, it stays good for several days and is easy to graze on. Yesterday’s post was a recipe for chicken salad on apple slices, you could do a similar rendition with egg salad on tomato rounds. Yum! Cut out processed crackers and carbs in one fell swoop. These are just some of the ideas I’ve come up with to make meals and busy schedules run a little smoother and work together. Clean eating is not out of the question for the budget and time challenged people out there. Seriously, go to Pinterest and find all kinds of ideas. Write out a list of meals and meal ideas you’d like to try and go from there. You can do this. 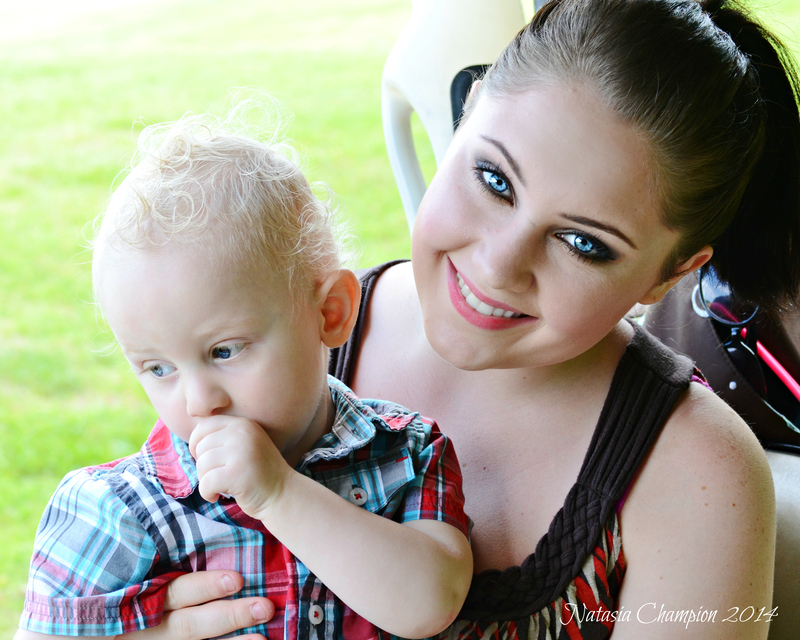 It really is so important to get your nutrition on track, Briana stresses that over and over. This is a lifestyle, eating well is a crucial skill you must learn to make this lifestyle successful and long lasting. Don’t make excuses because you are picky or on a tight budget or very busy. If you take the time to do the workouts, you need to take the time to address your nutrition. They go hand in hand, each is as important as the other. You will find what works for you, I believe in you, because I’m also facing challenges each day and week, and sometimes they are familiar and other times they are brand new stumpers, but where there’s a will there’s a way. Make it happen, you won’t regret it! Remember, it’s not about “perfect” and “ideal”, it’s about making it happen, doing it today, and doing the very best you can with what you have. Yes, this morning’s breakfast was a muffin, but it was a muffin made with real ingredients from scratch. Whole wheat, real fruit, reduced sugar, healthy oil. It isn’t hard to walk when you start with baby steps. Comment below if you have a fabulous quick and easy snack or grab and go meal idea. I love to hear from you all! Another Monday! I knocked out this morning’s workout early and got into some gardening before lunch. It is hot and incredibly humid out there today and I poured sweat turning over a stip of dirt by hand, just me and the shovel. 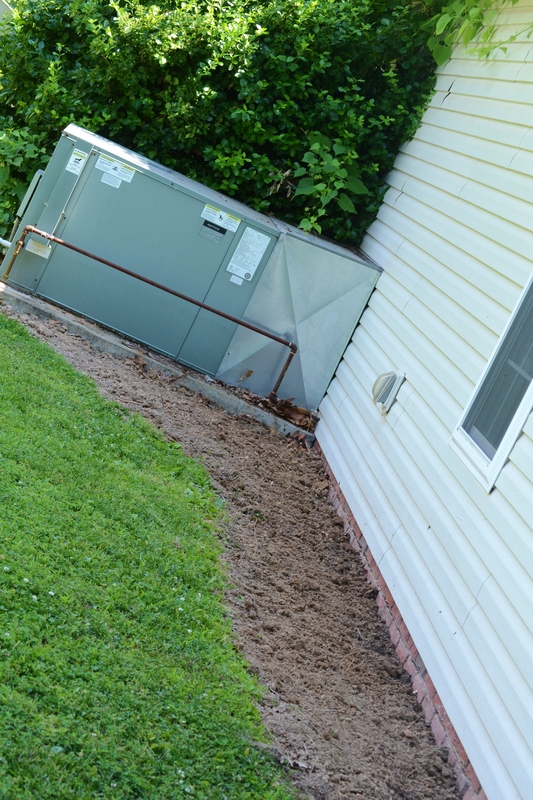 It was a spot that looked tacky with black landscaping plastic showing through a sparse sprinkling of decayed mulch where the previous tenants at this house did basically nothing with the yard other than mow. I couldn’t take it any longer and thought at the very least some zinnia seeds thrown out there with bachelor buttons and sunflowers would look better than the plastic, so I made it my morning project. Not bad for not having a tiller! 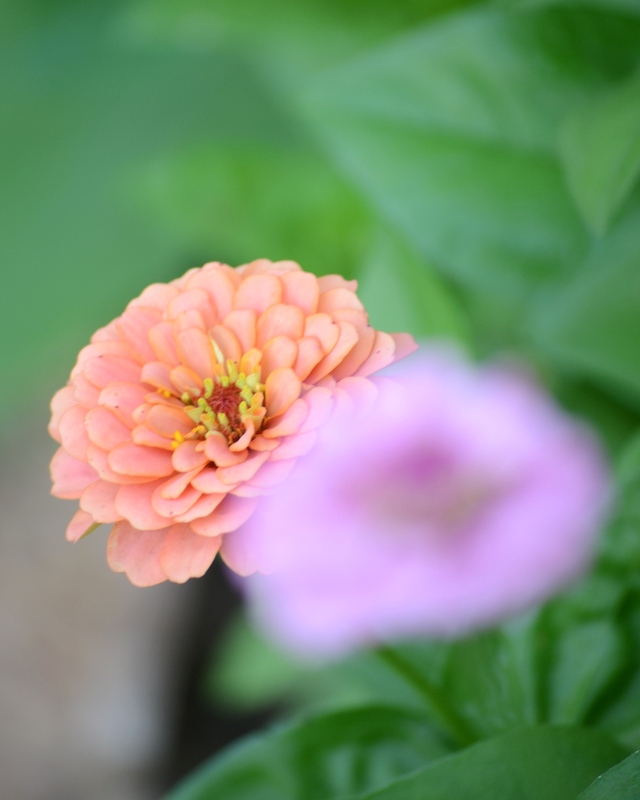 I plan on planting my seeds this evening when it gets a little cooler. 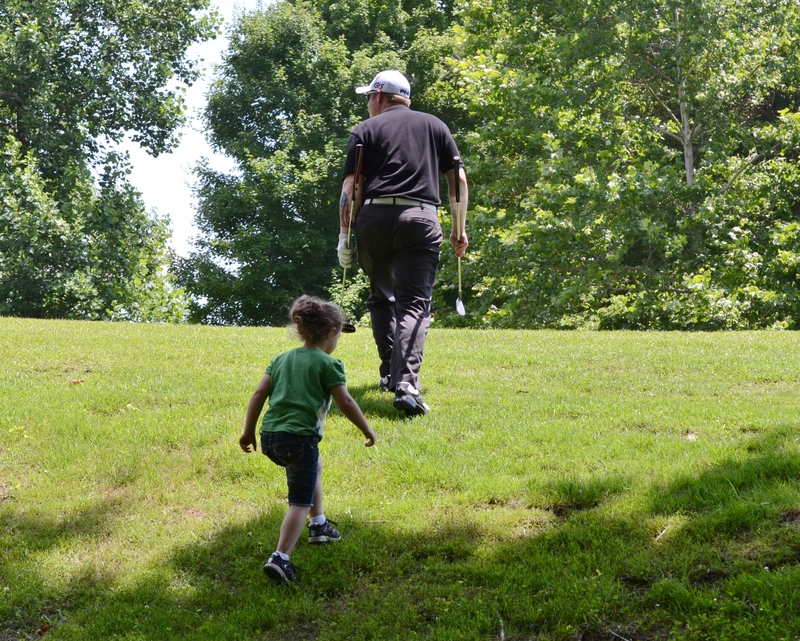 We had a beautiful Father’s Day yesterday. 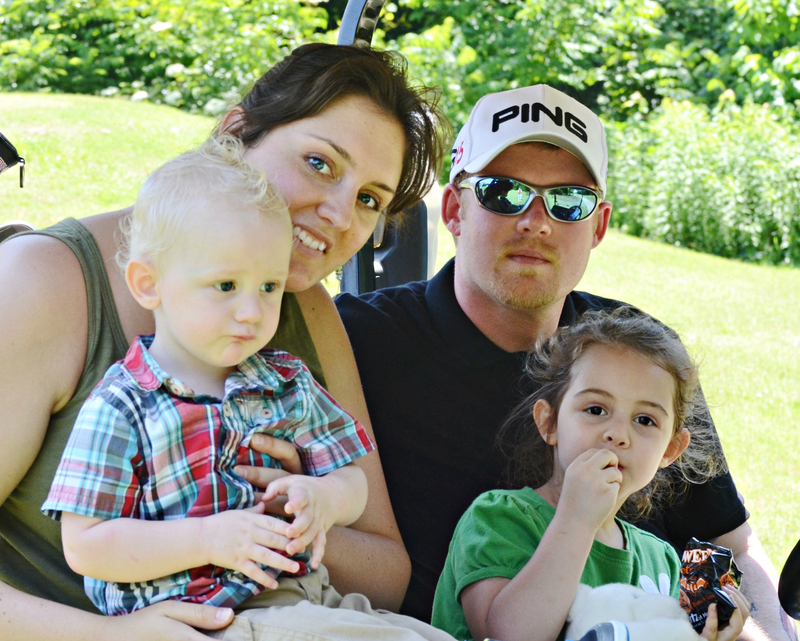 This year the holiday fell on my hubby’s birthday too, and we did a family golf excursion. I know it sounds funny, but he’s the only one who plays. The rest of us had fun just being with him and enjoying the sunshine and being outside. 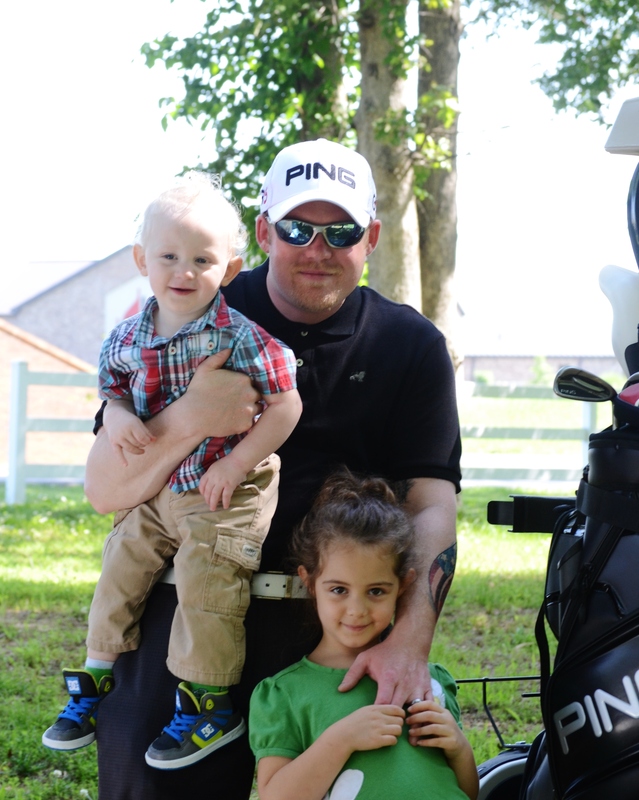 We needed 2 carts, but the kids loved being out there with dad and my daughter especially was busy as his special club holder and putter getter. I got a good deal of exercise wrangling the little man and helping my hubby ball spot. The kids ate pretzels and cheez its and got hot and sweaty and just had an all around blast. 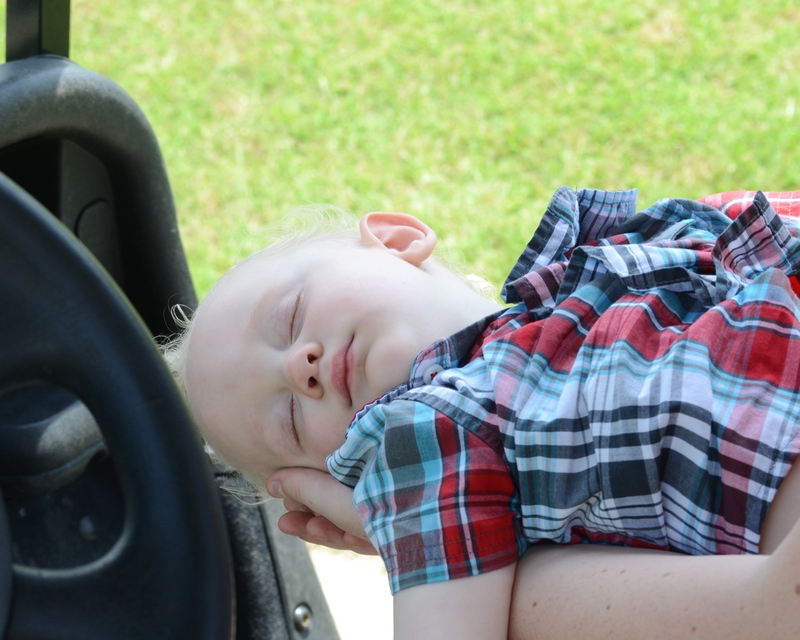 And apparently we really wore my little guy out, because this is what he looked like for the last 4 holes.